As the Chop Gear team seems to be in a state of hiatus since 2015, mainly due to Eddie ‘Clarkson’ Cheng chucking a phone at an assistant, Captain Slow here decided to have another lone Chop Gear Special. Mrs Liu came along for the ride too, as I treated her to a much needed long weekend away from parental duties. 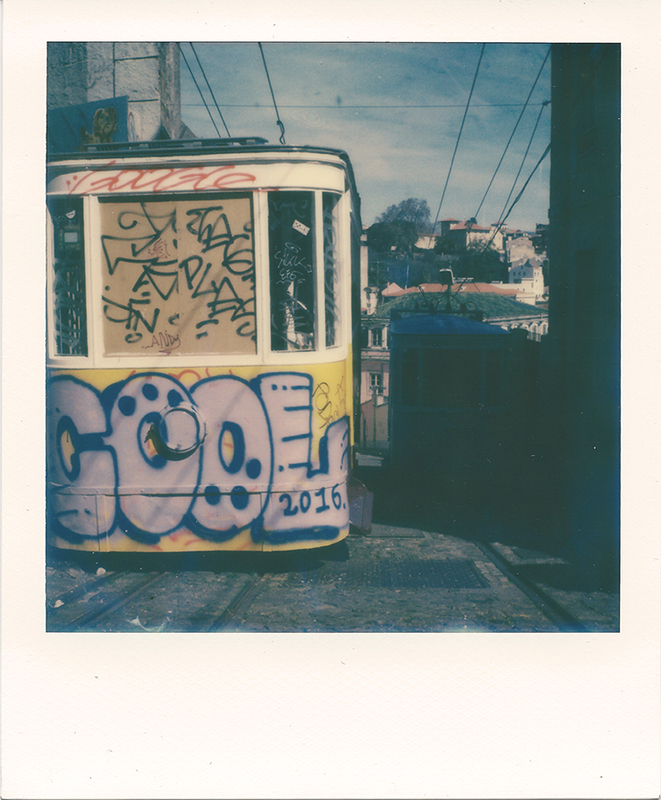 Winter is not a great time to be shooting Polaroids, so I decided to go somewhere sunny. 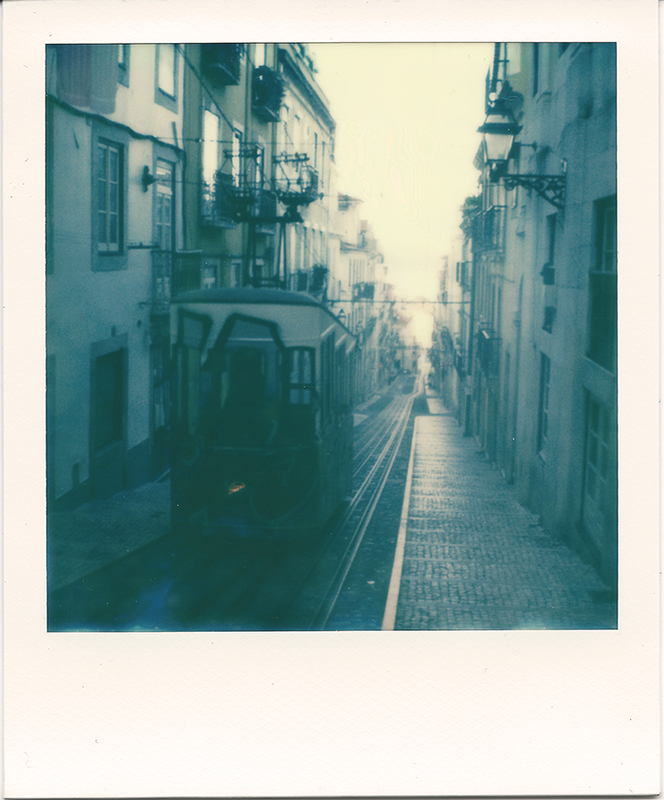 Having worked as a web developer on a budget airline’s website during the tale end of last year, one of the images that popped up on their website was a funicular in Lisbon. Based on that single image with it’s pastel shade buildings, I decided I needed to go. In my head, it was Europe’s answer to Havana (which I would still to love visit one day). I had a tough decision choosing which cameras I wanted to take. I knew for sure I didn’t want to take my bulky and heavy DSLR. I did toy around with the idea of getting a smaller mirrorless compact but the prices were prohibitive and I didn’t want to invest in yet another camera system. 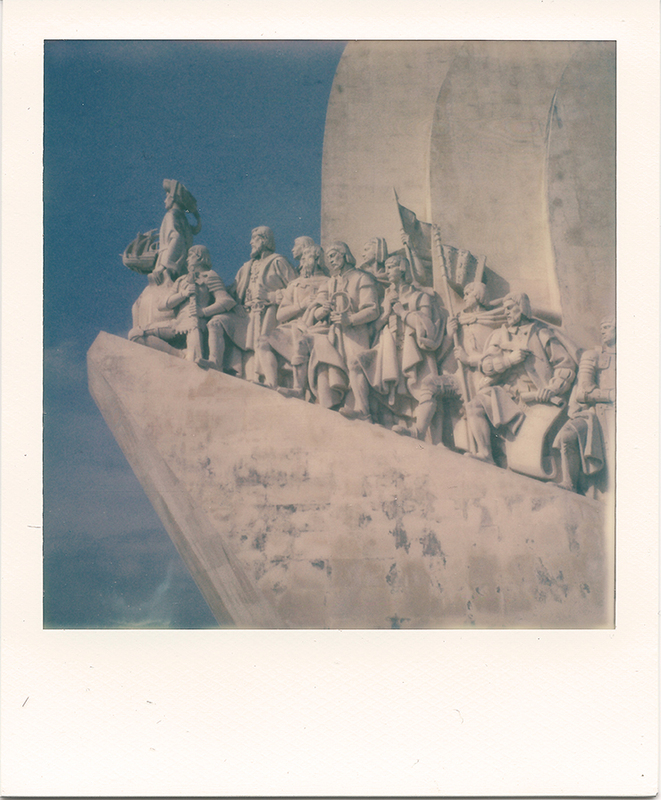 By chance I picked up a Minolta 35mm Hi-Matic AF2 camera at a charity shop for £8 a month before my trip to Lisbon and having put a couple rolls of film through it, decided that it’s fixed 35mm lens made it a cracking street and travel camera. It would be my main camera. 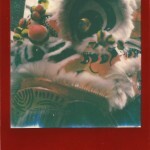 So my only remaining decision was which Polaroid camera to take. 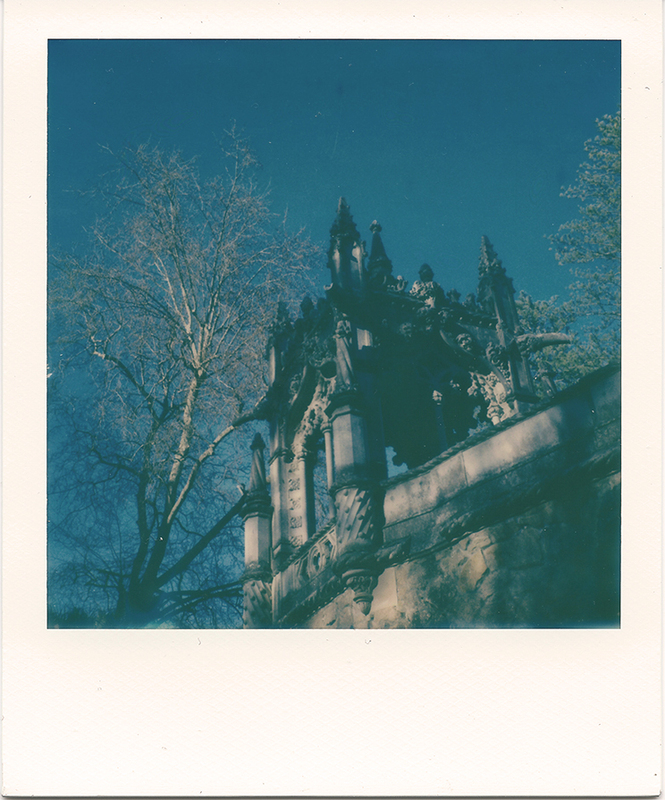 Previous trips, I took both the SLR680 and the Spectra along with me, but this time I only really wanted to take one, once again down to not having to lug so much around in my bag whilst travelling about. Although the Spectra with its wider frame would have been ideal, I had already saved a pack of the Beta Gen 3 600 colour film for the trip. 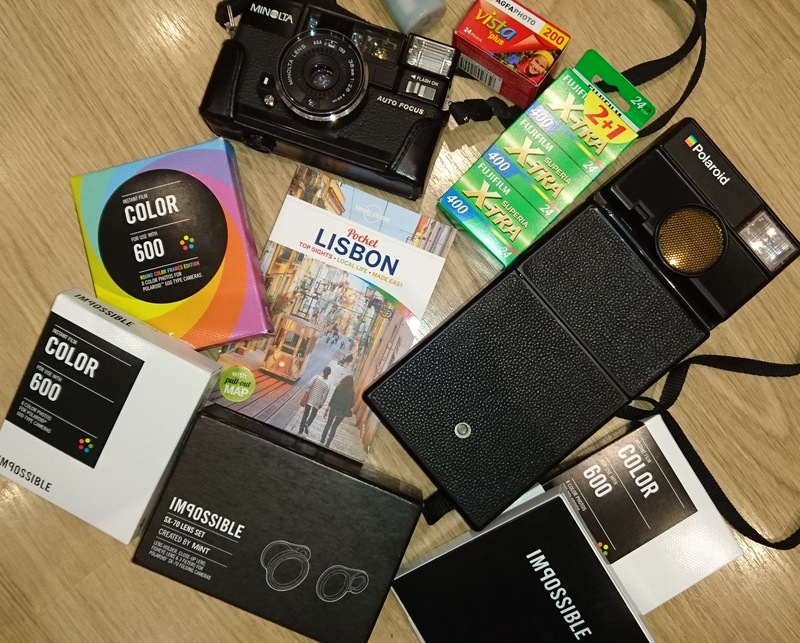 Along with a triple pack of 600 colour film (with the now established Gen 2 formula), I decided my only Polaroid camera going on the trip with me was the SLR680. 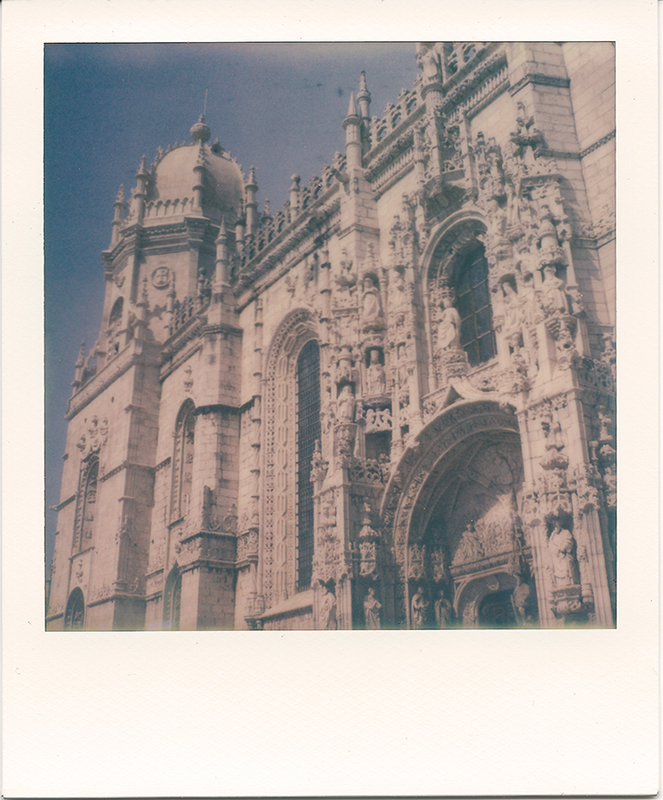 I also decided that I would only use the normal square white frame as well, leaving Lisbon to work its colourful nature without any frame distractions. Jardim de São Pedro de Alcântara – Jardim António Nobre (as the Elevador da Gloria was in-operational during our stay), and the reward was a 360 view of the city. In the centre of town lies the imposing Elevador de Santa Justa. 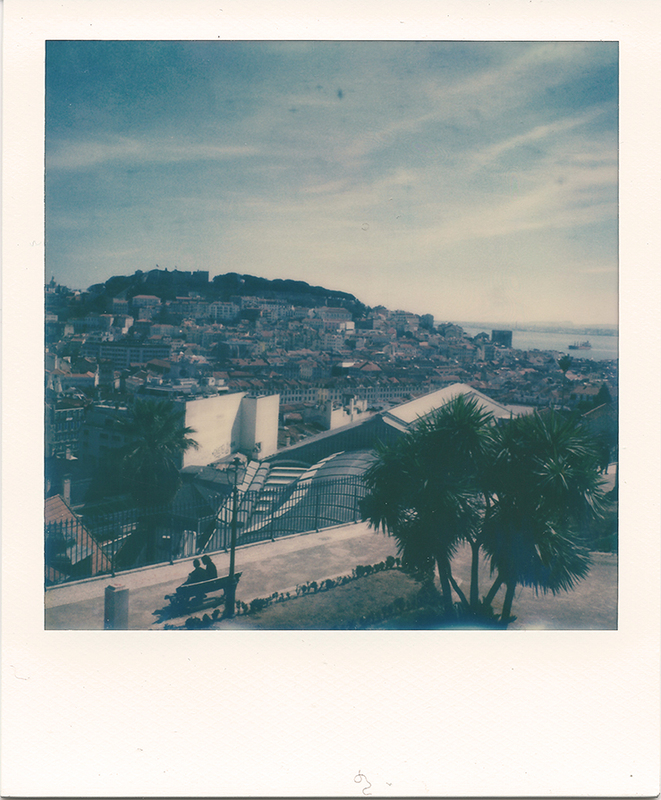 A short elevator ride up, followed by a flight of steps takes you to the best view overlooking Lisbon city. It’s the exact image you see in all the guidebooks but nothing quite prepares you for the view in person, coupled with actually how high from the street level of Rossio you are, protected only by some railings. If you have vertigo, it’s quite an experience. 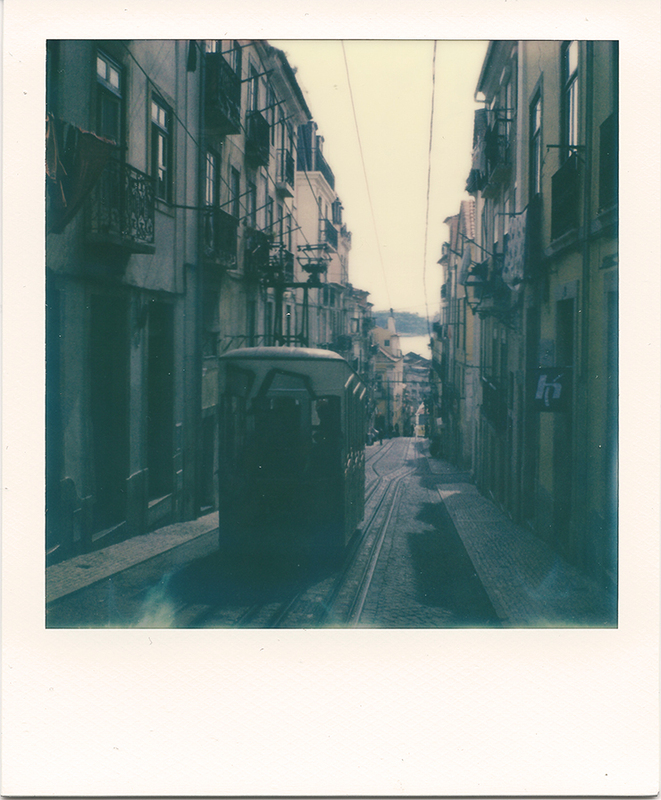 Like most distinctive cities, Lisbon has it’s own characteristic transport. 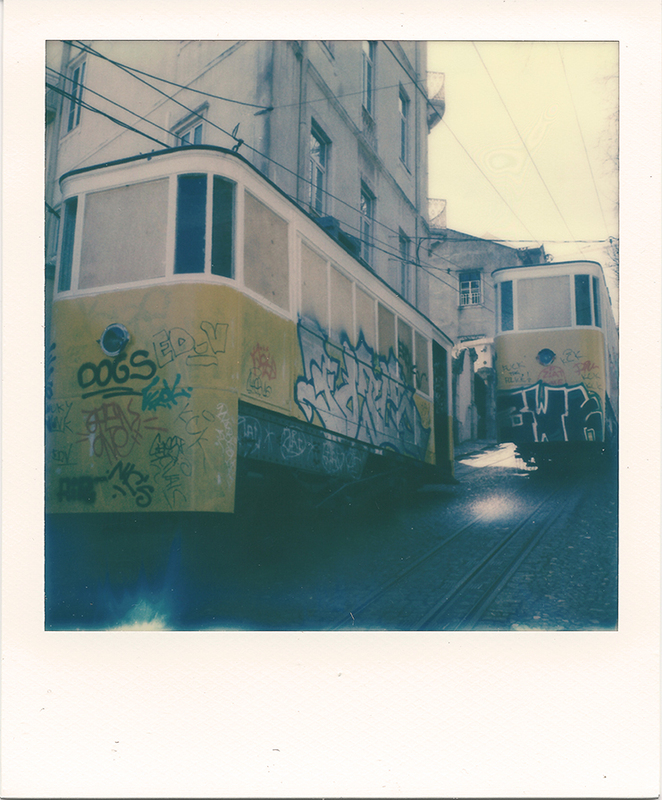 Be it the overcrowded tourist filled Tram 28 or the uphill treats of it funiculars, both bustling with character, it’s creaky wooden interiors or the grafitti’ed exteriors. 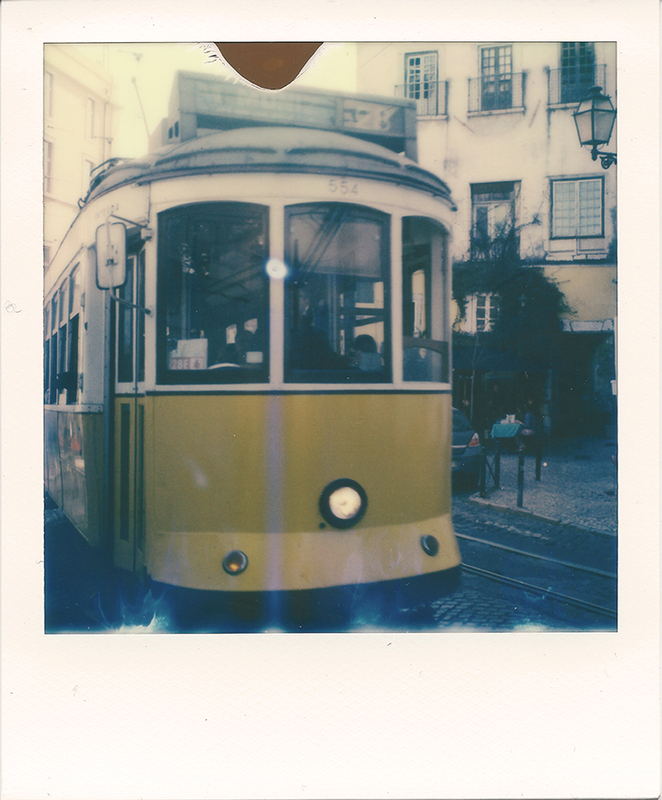 Tram 28 can get overcrowded with tourists but totally worth it just to go through the various neighbourhoods of Rossio, Alfama, Baixa/Chiado and Bairro Alto. 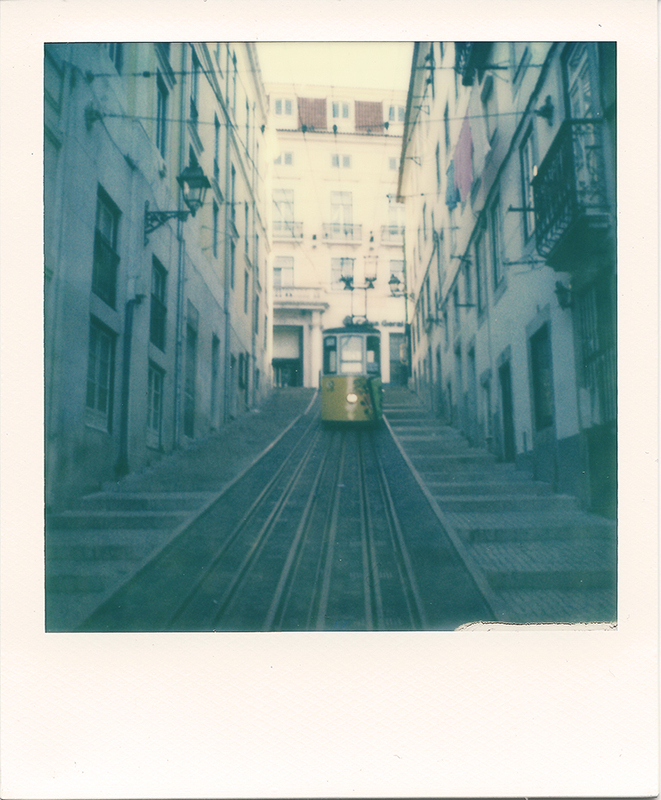 Just like the trams of San Francisco has its charms, Lisbon’s equivalent is a rickety ride through up and downhill, through tight alleyways, so much so that you can touch the exterior walls of the houses either side of the tram. 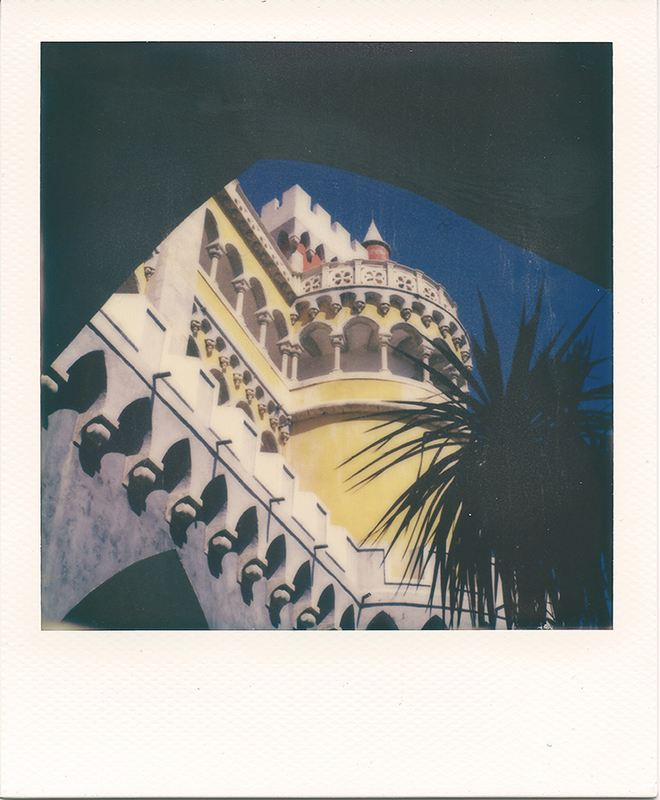 A 40 minute train ride from central Lisbon, Sintra is a small town with World Heritage status. Spend a day there and you’ll know why. 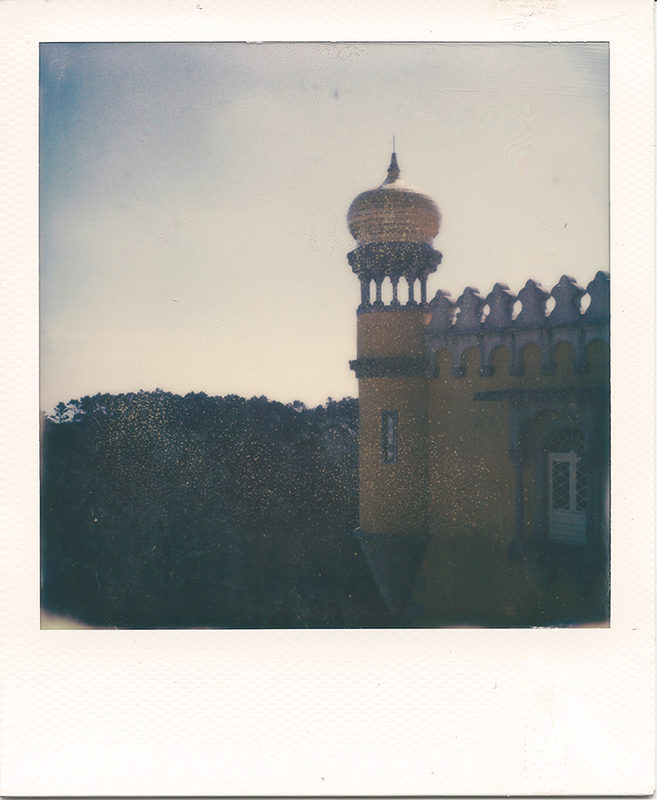 Sintra really has to be seen and experienced in order to appreciate it’s sheer beauty and fairy tale like qualities. 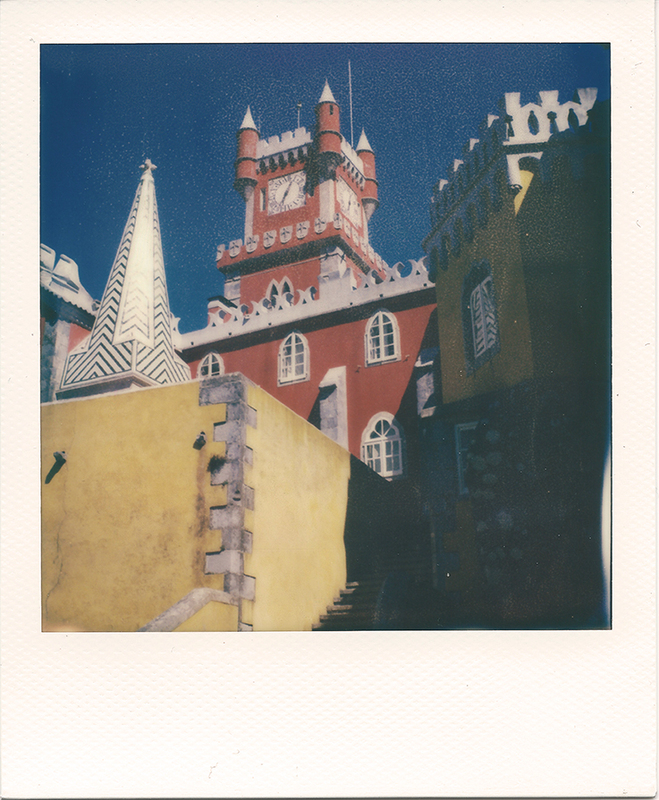 It’s like a kid said to their fairy godmother that they wished a Disney castle and kingdom could come alive, and the resulting wish is Sintra. 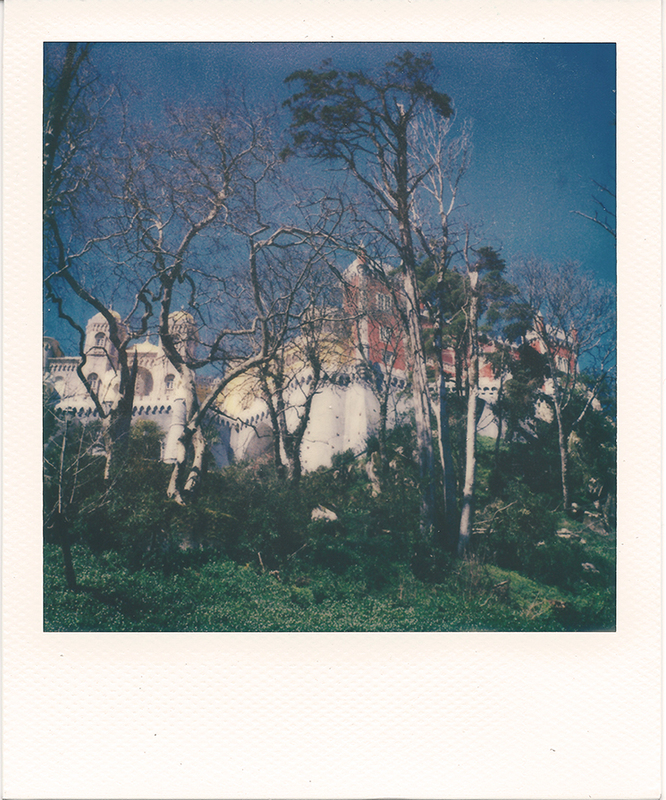 I’ve decided to here on in, to call it the Magical Kingdom of Sintra, and here the magic of Polaroid really did sparkle. 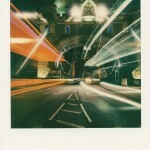 When Impossible released the Beta Test Gen 3.0 600 film, I bought 2 packs to try out. I used one pack to test out on various subjects (OK, I used it mostly on my baby daughter) but it was the month of January, and as always, England was gloomy and cold so I wanted to save the second pack for something a little more special. 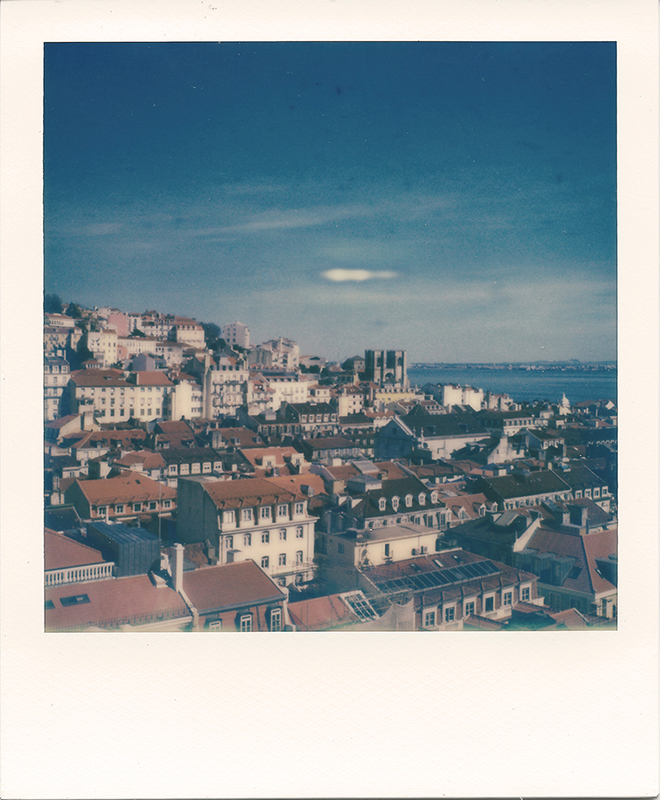 As soon as I booked Lisbon, I heard about Sintra from various people and I knew then, that was where I would use my second pack of the Gen 3 film. 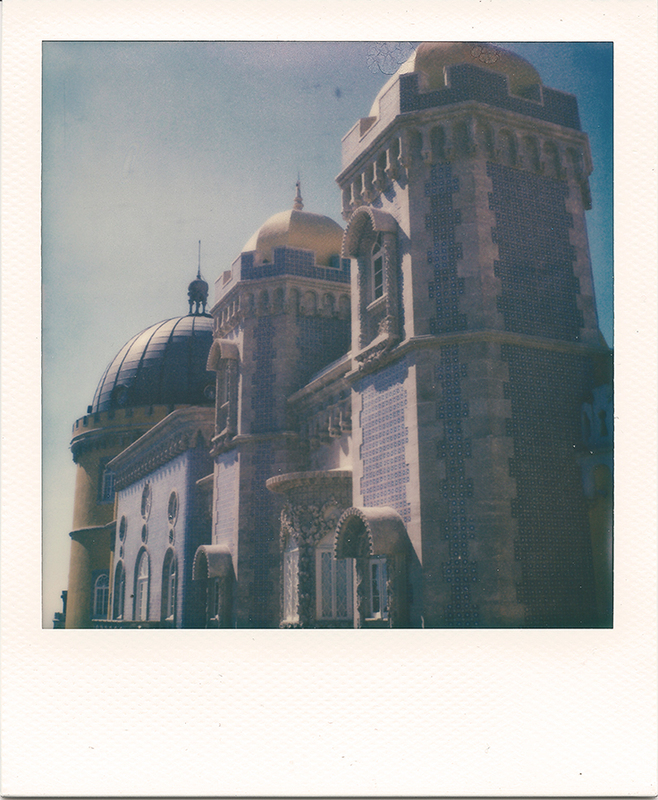 A bus ride up to the top of the mountain was the National Palace of Pena. With it’s bright exterior walls of red and yellow, this was the perfect candidate for colourful shots on the Gen 3 600 film. It’s not often I say this, but for once I think I almost achieved a 8 out of 8 shots hit ratio, with all shots at the the palace being my favourite shots from our trip. As the film was test film, I noticed flaws like speckles and little cracks in the image. However the colours that were rendered were more vibrant than anything I have seen from Impossible. 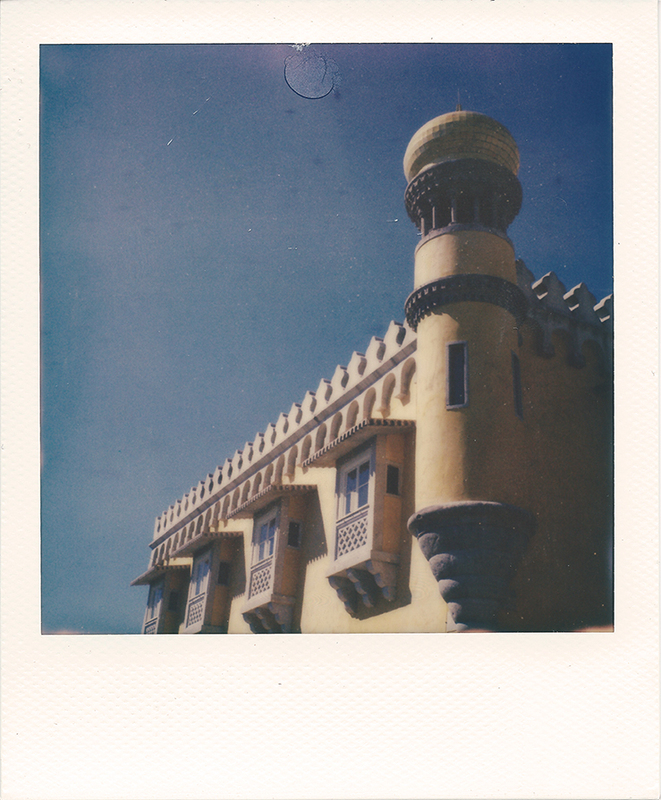 The sky has never been so blue in any TIP film I have shot up til now, and the film did justice to to multicoloured Pena palace. 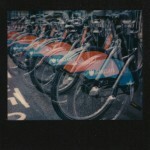 I have always considered the Spectra film to have best colour rendition, but this Gen 3 film, with some further development, could be TIP’s most consumer friendly film yet. Given the warm weather of about 20 degrees, I was able to see emergence of an image in less than 5 minutes and about 50% development in under 10 minutes. 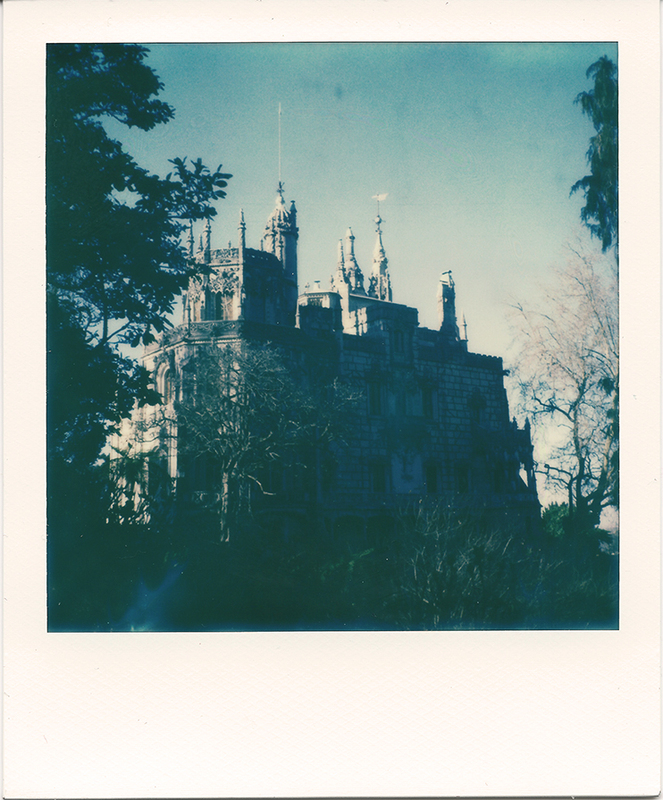 A day in Sintra really is not enough to explore all the various palaces in the Magical Kingdom of Sintra and we only managed to squeeze in Quinta da Regaleira as well. 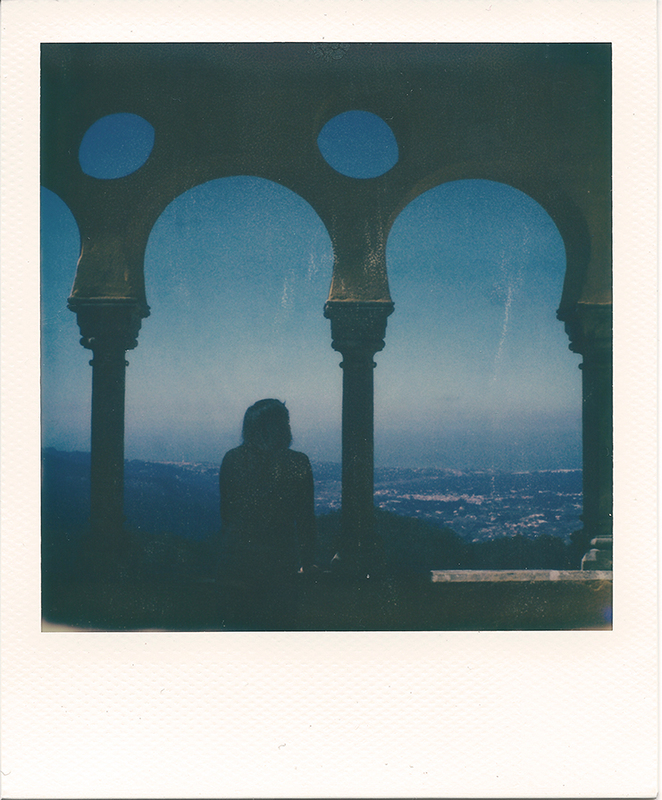 As with the many trips I have now gone on with my Polaroid camera(s), one thing is for certain. 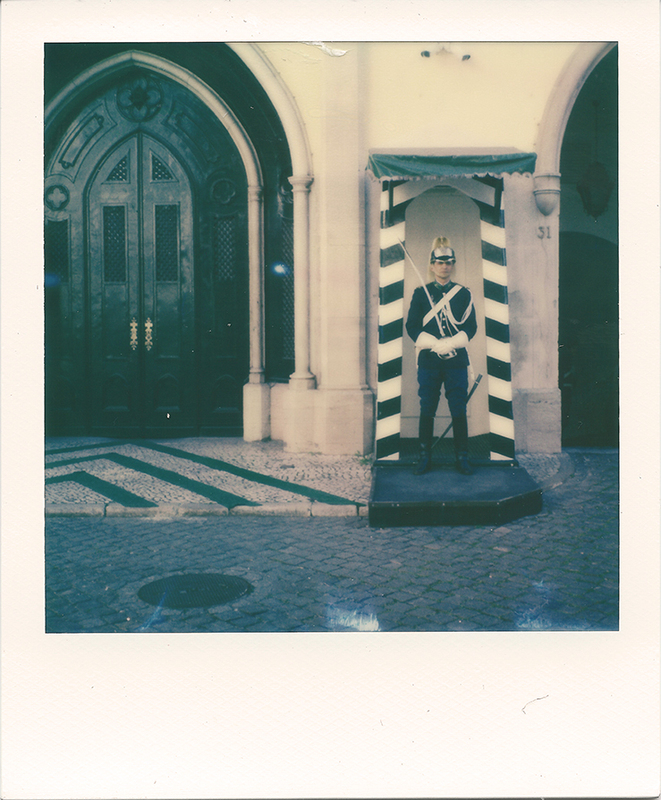 No matter the native language or the other foreign tourists I come across, what I will always hear are the mutterings of the word Polaroid. 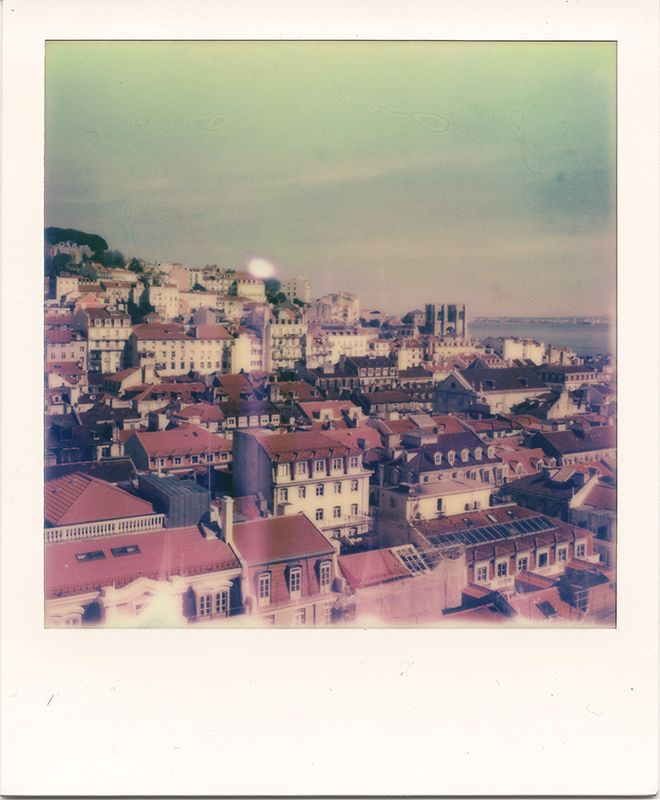 I lost count at how many mentioned it, and on one occasion, even though I didn’t speak or understand much French, I knew some Fench tourists were talking about the demise of Polaroid film in 2008. 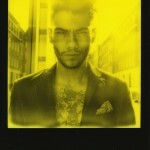 There is a surprise (romanticism if you like) on people’s face when they see and hear a Polaroid camera in action. A trip to Lisbon or Portugal would not be complete without trying Pastel de nata, more commonly known as Portugese Tarts. 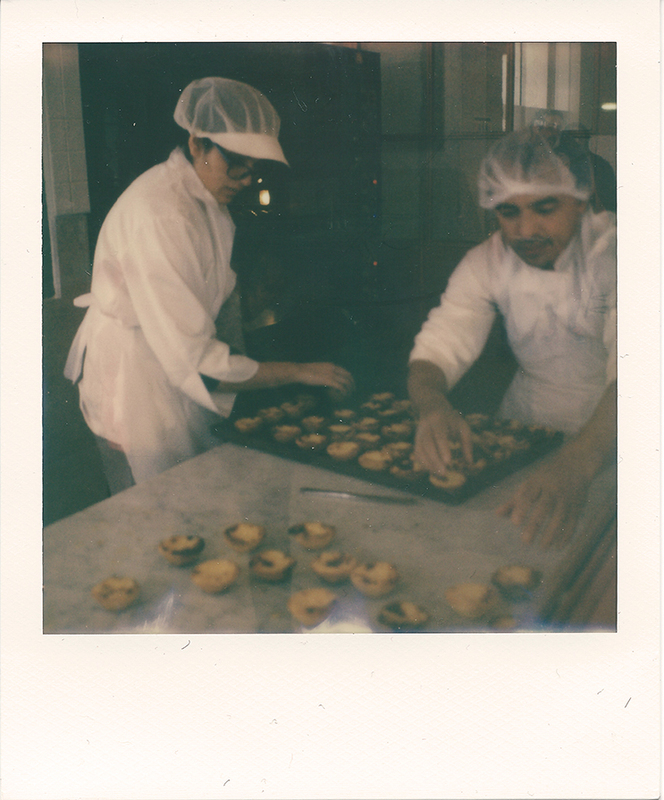 Almost every street corner in Lisbon sells them, but a short hope on the Tram 15 to Belem rewards you with the infamous Pastéis de Belém, with arguably the best pasteis de nata. However, away from the obvious pastries, I found the Seafood produce was of such an amazing quality, certainly compared to what we have available in the UK (and by that I mean in the everyday). We visited Cervejaria Ramiro, a seafood restaurant where the seafood were the main stars, accompanied with really simple flavours. 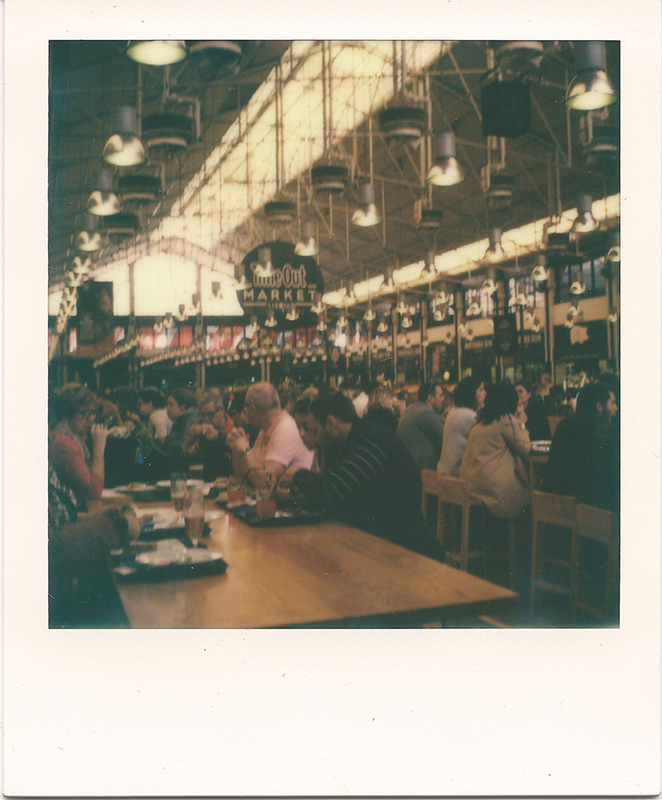 The Time Out Mercado da Ribeira consists of a fantastic indoor food market, like the types you see in South East Asia, and like the street food venues in London like StreetFeast. Under one roof you can try out some of the best Portugese cuisine amongst all the local foodies. Bairro Alto is the night hub of Lisbon, bustling with locals and tourists alike, this part of the city seemed to never sleep. My last day in Lisbon and I decided to explore the Bairro Alto area very early in the morning, before sunrise, so I was up at 5:30am. I waltzed up to Jardim de São Pedro de Alcântara – Jardim António Nobre again, and watched the sun rise slowly ascending amongst all the houses of the Lisbon skyline. 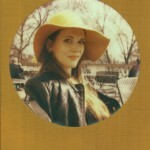 I did have a Polaroid but it ended up just being the sun outshining everything else. A short walk afterwards, I was back in Bairro Alto, and because it was the crack of dawn, I had the Elevador de Bica to myself without all the tourists. 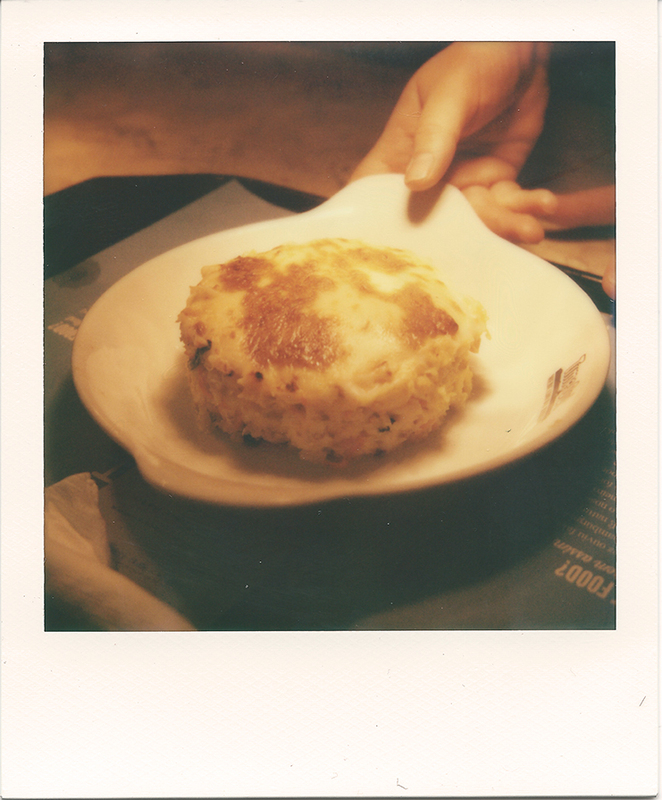 I wanted to recreate that picture on the website but on Polaroid. I have to say upfront, I succeed in getting the colourful shot. 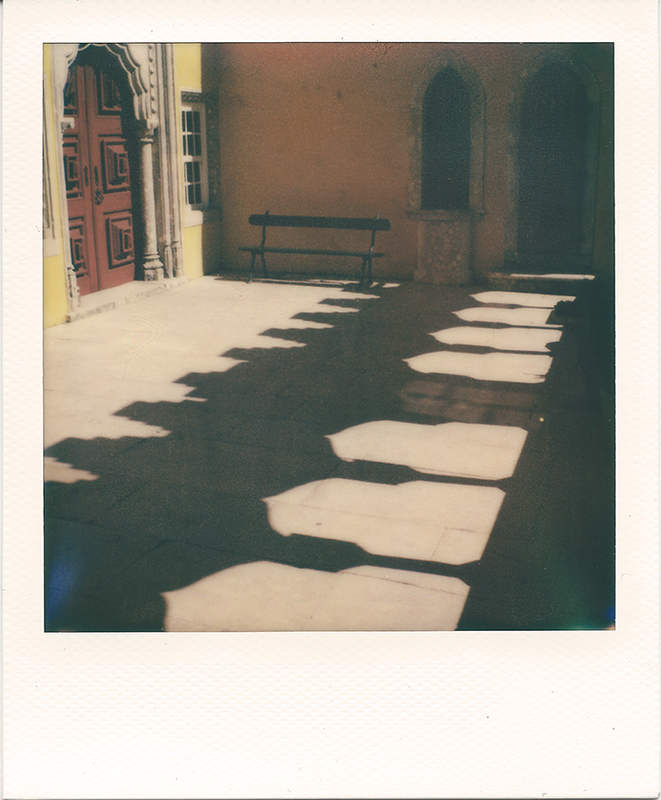 It was one of thhose times whereby I was fighting with harsh shadows, and too much light (did I mention Lisbon is a sunny place?). 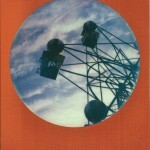 I was having moments whereby I was struggling to decide how dark to turn my exposure wheel on my SLR680. I ended up taking about 3 shots, but none were what I had hoped. Did it matter though? No it didn’t. I may not have got the shot, but I enjoyed immensely a much needed few days away with my wife. After all that is what holidays are about, to live the experience of the unknown.